Building a brilliant reputation isn’t easy, but the benefits are immense. Your reputation is your biggest marketing asset, and will help you to win business in even the toughest times. Your reputation is fragile, since it can be easily damaged, and is difficult to repair. However, it needn’t cost a great deal of time or effort to build and maintain a superb reputation, though you need to work at it consistently. Here are seven tips to help you become a company that everyone wants to work with. You need to build on a solid foundation. Whatever business you are in, you need to do the simple things really well. People won’t notice if you get them right, but if you get them wrong, they will complain bitterly. It may sound dull to focus on the simple stuff, but if you don’t, nothing else will matter, since people will say “they can’t even deliver the basics”. No-one should ever be able to say that about your business. Small touches can make a huge difference. It’s not about delivering expensive add-ons, it’s about unexpected delights. It’s not the chocolate on the pillow, it’s the “welcome back” from the receptionist when you haven’t stayed there for years. It’s like going out for a meal and getting not only good food, but also a warm greeting and great advice from the waiter. Everyone in your organisation is a reputation manager. It takes only one bad, rude exchange or poor delivery to cause immense damage. Everyone needs to be trained, and given the responsibility, to offer exceptional service. Make sure you reward staff who deliver superb service. As the manager of The Dorchester Hotel says “I like to catch my staff doing something right”. This works both ways. People love to be recognised and addressed by name, and they also like to see the “face of the company”. Who is your Richard Branson? It needn’t be the CEO, but it should be a senior member of staff who is a great communicator. In every organisation, things go wrong. Everyone realises that. You need to take responsibility and fix things fast. Your reputation will be enhanced if people know that, should bad things sometimes happen, you will look after them. There have been many studies that show the highest ratings for service go to companies who have made errors and then fixed them quickly and efficiently. You don’t need to over-promote, but you do need to be available for comment. If you’re delivering exceptional service, your comments will be sought, and you must be prepared to give them. Make sure that you always know how to contact a media spokesperson within a minute or two. People love companies that inject humour into what they do. Aim to leave people with a smile, every time. The emotional connection is the strongest bond between a company and its customers. That’ll do for starters. Get building! 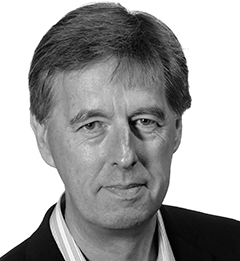 Alan Stevens runs MediaCoach, a company which provides services to build and protect both corporate and personal reputations. He is also an author, journalist and international speaker.